The turnout for Mudthaw was a bit lower than last year, but we had eight kids take the field, and the smaller numbers meant it was easier for the marshals to chat with kids about technique and take occasional breaks. Galen, a new fighter from Østgarđr’s canton of Whyt Whey, was the division II champion, and Alax was recognized for his good spirits and sense of humor. 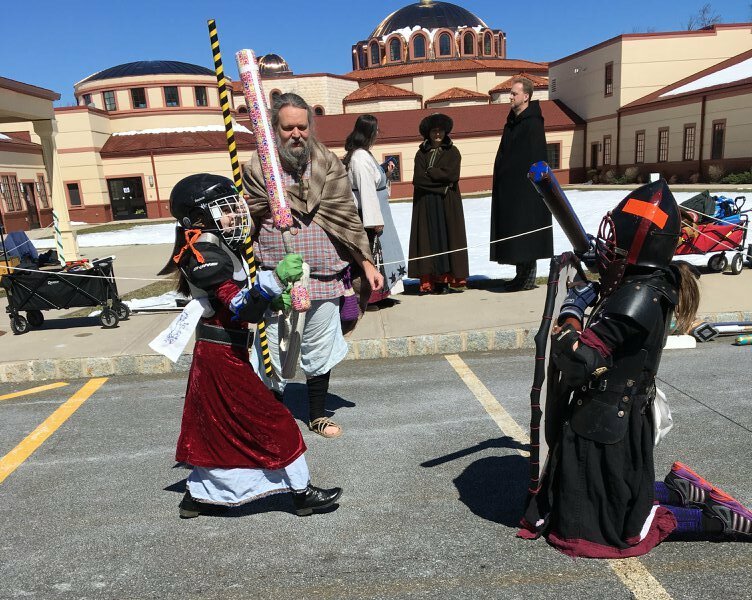 This web site is a personal outlet for informal updates that may be of interest to the public, and is not an authorized communication channel for Østgarđr, the East Kingdom Youth Combat program, or for the Society for Creative Anachronism, Inc.